This is your portal to learn about upcoming events, internships, our student guide program, and research opportunities at the Museum. The Museum can be your social, academic, and creative resource on campus. We encourage you to get involved! 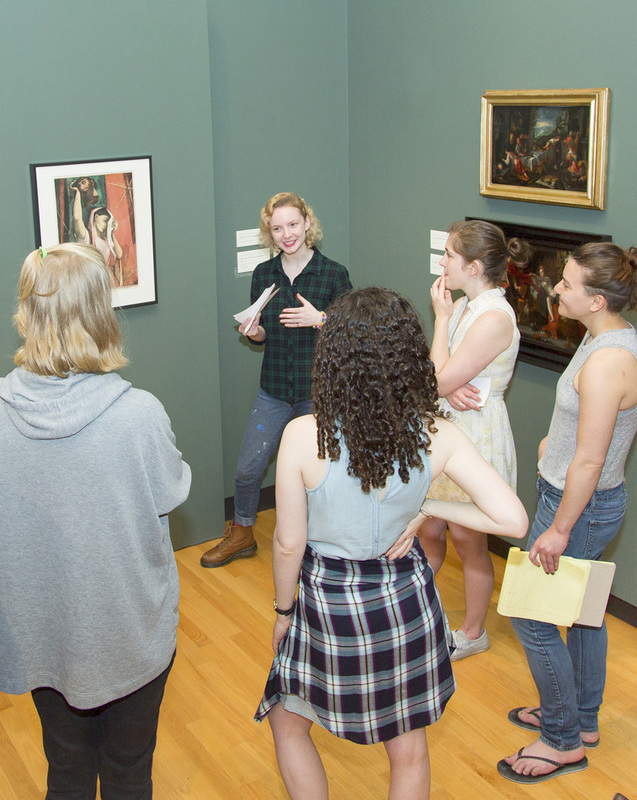 Participation in our internship and student guide programs offers unique behind-the-scenes experiences with our collection and our professional staff. In addition to having free and open access to the nearly 500 objects on view, you can also request to see objects from storage, whether for coursework or personal interest. We also invite student organizations to collaborate with the Museum. We can develop customized tours and activities for any campus group interested in a special gathering in our lobby or galleries.